The great motivator, in leading the Greater Sydney Commission, is the faith that has been placed in our hands with the vital work of shaping the city for a liveable, productive and sustainable future. Identifying the challenges confronting Greater Sydney within these broad arcs, and planning the responses to them, is a privilege and one we take extremely seriously. Our overarching thesis, the Metropolis of Three Cities, was adopted as NSW government policy in March 2018. Bringing that vision to life over the next 20 years requires us to bring a more detailed lens to the key issues. Protecting and enhancing the diversity of land uses is critical to city-making and so must clearly be one of our priorities going forward. The burning platform in thinking about keeping Greater Sydney functioning and successful is the limited available land for a range of employment uses, mixing technology, commercial, industrial and urban services. The places where we create things, make things, mend things and move things along. Intensifying this land use is critical in a city where 80 per cent of the Greater Sydney region is non- urban; 50 per cent of it protected natural areas and more than 20 per cent metropolitan rural area. Land zoned for industrial and urban services comprises only eight per cent of Greater Sydney’s urban spaces, yet provides 19 per cent of the metropolitan region’s jobs. In the South District, it is 37 per cent, Central City District 35 per cent and in the Western City District 36 per cent of jobs. It also plays a vital role in the sustainability and resilience of the city and presents perfect areas to locate infrastructure to support the circular economy and promote better water management and reuse along with waste management. A changing city needs spaces that offer capacity for innovation, adaptability and resilience in preparing for future needs, opportunities and challenges including the digital economy and technological change. Greater Sydney’s capacity to enhance its freight and logistics capabilities, both traditional and innovative, such as on-demand delivery, will need proximity to their markets and supply chain hubs. Transport for NSW’s freight and ports plan indicates that planned residential and commercial developments are encroaching on key industrial freight-generating precincts and corridors, resulting in restricted access to key freight corridors and limited ability to meet future demand. We can’t plan a city simply on the basis of allowing all land to be left to the “efficiencies” of the market and “highest and best financial use” or we’ll end up with, not with a city that works, but that is unworkable, with suburbs that are predominantly residential. The commission first addressed the future of industrial and urban services lands with the release of the draft Greater Sydney Region Plan in October 2017, identifying that existing industrial and urban services land should be safeguarded from competing pressures, especially residential, to avoid outpricing these important city-making uses. The extensive research underpinning our policy development, 10 industrial and employment lands based studies, is publicly available on the commission’s website and continues to be refined and supplemented by ongoing work with industry representatives and councils. This is Greater Sydney-specific research and arguably unprecedented in its depth and local focus. The commission engaged with tens of thousands of people during the exhibition of its draft strategic plans. This included several industry-focused roundtables and broader information sharing sessions attended by a diverse range of industry representatives. and enhancement of industrial and urban services land should reflect the needs of each of Greater Sydney’s three cities, and their local context. It should provide land for a wide range of businesses that support the city’s productivity and integrated economy. Rather than drawing a line around traditional manufacturing as a “thing of the past” our work found the management of industrial and urban services land requires ongoing support and enhancement in response to changing industry needs, trends and new technologies. Traditional manufacturing may continue its decline, but the $21 billion it contributes to the national economy and the jobs it provides are part of Greater Sydney’s balance. Advanced manufacturing in a “made in Greater Sydney” environment will also need places to evolve. Having these lands across the whole metropolitan area is integral to delivering the 30-minute city. The three-pronged approach the commission proposed in the draft Greater Sydney Region Plan, subsequently adopted as policy by government, simply urges caution and “no regrets”. 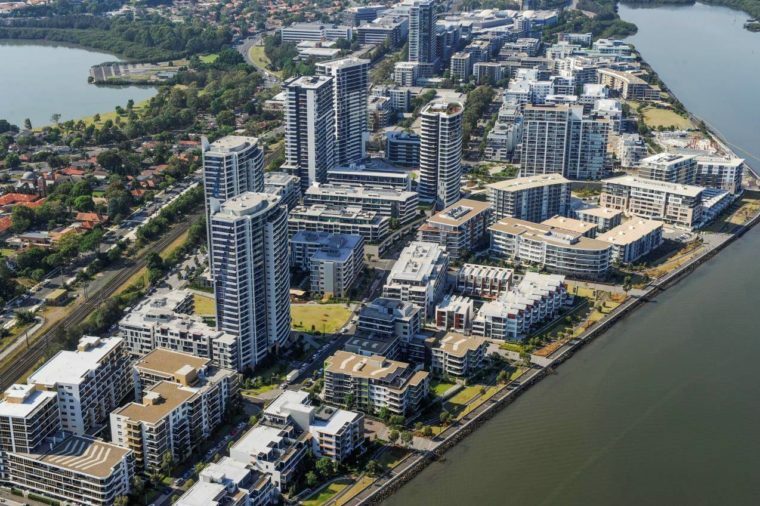 These lands, which represent only eight per cent of Greater Sydney’s urban area – itself only 20 per cent of the Greater Sydney region – need to be safeguarded from the pressures of speculation and land value uplift. Quite simply, industrial and urban services land that is lost to residential redevelopment, cannot be recovered. We need to be as progressive and strategic as possible in helping employment lands evolve – which will include “mixed” use in terms of training and education, start-ups, institutes, employee work day services and facilities. But we need to think very carefully about allowing residential development into the mix that can fundamentally and irreversibly change the balance. We are continuing to enhance the evidence base to understand the specific needs of the different areas of Greater Sydney through more studies and we are working closely with councils to review the data we are assembling. This is an on-going challenge that will continue to evolve and one we remain committed to working with industry and councils to address, underpinned by strong Greater Sydney-based-and-focused evidence. 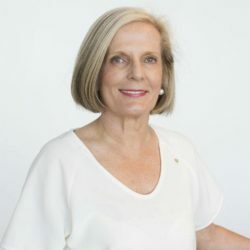 Lucy Turnbull AO, is chief commissioner of the Greater Sydney Commission; Geoff Roberts is deputy chief commissioner and economic commissioner and Dr Sarah Hill is chief executive officer. The real mixing in Sydney that is needed is more density in established coastal suburbs, that are near amenity and opportunity. Central Sydney industrial and employment lands should be retained. There is enough well located residential land in Sydney, just too many restrictions on it. I have read the GSC report and the subsequent comments, and I agree with the views expressed by Bill and Tina. While Iam a great supporter of mixed use precincts and areas, we need to be careful about the nature of the mix to ensure compatibility and keeping the balance between existing industrial/commercial activities and new residential. History is strewn with examples of legitimate industrial/commercial businesses being pushed out by the encroachment of residential development. However, there are also many good examples of obsolete industrial/commercial properties being successfully redeveloped for higher density residential that co-exist with surrounding and adjoin industry but which is of low scale and low impact ie not being heavy manufacturing or have reliance on heavy freight and transport vehicles. Its about balance, strategic choice and trade-offs. While the nature of work and employment is changing ie less people in manufacturing etc, we cant ignore that some industries and commercial activities such as warehousing and distribution centres need to be close to ports, rail and transport hubs that are traditionally are found in or near the city to the exclusion of residential. AND they still need to be close-by to service the City. There is a place for the market but its market is not good a balancing competing demands and looking at the big picture being profit driven. (not a criticism). We need to have strong planning controls in place which will ensure we get a better balance of retail, commercial and residential. The GSC has recognised this. The market wants to build houses in nice places near amenity and jobs like the eastern suburbs and lower north shore of Sydney. That’s not happening in Sydney because the GSC says those places are done and the best place for new housing is out west where it’s hot and far away or maybe an industrial zone? That’s a planning not a market failure. The heat in the west is starting to be a serious issue. Where is Sydney’s growth we ask? Infrastructure and the west we hear. But who from the cool east with its lovely sea breezes would move there? We know that even Australian native trees are dying in this heat and won’t proving the cooling green we imagine. Tina, The amazing anti market rhetoric misunderstands who builds housing in Australia…. The private sector does all of it BUT they only go where government says the planning rules tell you to go, then you must give 25% of the costs back to Councils and Stater government, then wait for 2 years with heavy holding costs before you can begin to think of building. Then the Banks refuse to lend money to any potential purchasers, and the local state politicians call for a halt to all development for two years. Then the GSC comes in and is amazed that housing is actually meeting their own targets in Ryde and calla a halt for another two years. The market has collapsed because the GSC and the State Government have put planning on hold for two years. Quite apart from what happened in a particular area, there is a big argument about who should pay for infrastructure – the developer, ie the end buyer, or society as a whole since society as a whole, benefits, it’s argued. But if the government picked up the entire cost of providing infrastructure for new housing would the development sector accept more controls as the partnership would imply? Developers constantly call for deregulation, less planning hindrance and more supply. It’s a refrain through the decades. And now we’ve got more supply there is finger pointing at government agencies. The banks pulled back finance because the industry oversupplied the market. It’s the harsh hand of economic reality and the property industry is always calling for the free hand of the market, until it’s bitten by it. Allan, the very place where there is highest amenity and highest aggregation of private and public services is town centres. It is here that we must be concentrating living and work. This is especially the case for retirement living and aged care and for others who are less mobile and who will benefit from the social stimuli of denser places. Have a look at the Committee for Sydney’s paper: Rebalancing the City. I agree with the arguments which have been put about mixed use urban precincts. This is what we want but our experience has shown that if we leave it to the market we get something very different. This is because the market wants the most profitable development. The most profitable development in our “B” zones is residential above retail. Do we really want to allow our vibrant local centres to turn into dormitory residential enclaves above shops? I think the answer to this is definitely No. We therefore need to have strong planning controls in place which will ensure we get a better balance of retail, commercial and residential development in our “B” zones. Unfortunately the Department of Planning seems not to support this position for reasons relating to short term development feasibility and has not supported the introduction of LEP controls which require the retention of urban services floor space. I see a tension here with what the GSC is rightly attempting to do and actions by the Department which thwart the implementation of this policy. too little, too late and nothing is being done to arrest the more quality urban spaces being developed. Couldn’t agree more. The state govt’s Parramatta Road Urban Transformation Strategy is trying to rezone industrial land for yet more units. In my area, it means loss of important services I can currently walk to. The commission is to be congratulated for drawing a line firmly in the sand against the mindless push for speculative land development for residential at all costs. Unfortunately, the ‘hidden hand of the market’ often over-reaches itself into perverse and ultimately inappropriate over-development. Once built, it can take decades before mistakes can be rectified, especially with ‘build for sale’ strata-titled multi-unit buildings. Lest it be forgotten, this is why we have a planning system in the first place. This article is a call-out for all those concerned with the orderly transition of Sydney and our other great cites to meet the very real challenges – economic as well as social and environmental – of the next century to rebuild our collective faith in good planning to guide development for the benefit of the whole city. Good jobs matter as much as good homes. The GSC’s attack on the market demonstrates that they are out of touch with the changing world. Many younger people want to live in mixed-use urban precincts where work, living and playing are integrated. The old planning world of segregating uses into zoned boxes went out after Jane Jacobs attacked single use planners. But the nature of work has changed in the market with the use of technologies and new environmental laws such that all the uses listed as Light Industrial are now compatible with the amenity of the neighbourhood. The GSC needs to understand the “market’ rather than be above it. Just look at how the whole Sydney housing market has collapsed on their watch as they do Assurance Reviews that hasten the collapse. Chris, your arguments about the changing nature of work are worth thoroughly investigating, and as a priority, as our future depends on getting that right and planning for it. So many views on that and all worth exploring. But I’m not sure anyone is responsible for the collapse of the market other than the market itself, starting with finance and the cost of money and next by the poor quality of construction and development design. I can’t see how any planning authority can be responsible for that unless you think we should give the GSC power to control the rate of development, the quality of development and enforcement. And then have a say over interest rates. The forecasts are 30-35 per cent drop in prices, and the fear is your new apartment will leak, catch fire or fall apart. I wouldn’t touch a new apartment from any but a top tier developer with a barge pole. That’s what your members should be agitating for, lest bad development brings the industry undone for all. Not more freedom to do what it likes. Not a good track record there. How we handle employment lands is a separate issue.